Debasis Dawn is an Associate Professor in the Department of Electrical and Computer Engineering, School of Engineering and Technology at University of Washington, Tacoma. He received his Bachelor of Engineering (B.E) from Jadavpur Univ., India in 1986, M.Tech from Indian Institute of Technology (IIT) Kanpur, India in 1989 and Ph.D degrees from Tohoku Univ., Japan in 1993 all in electrical engineering. 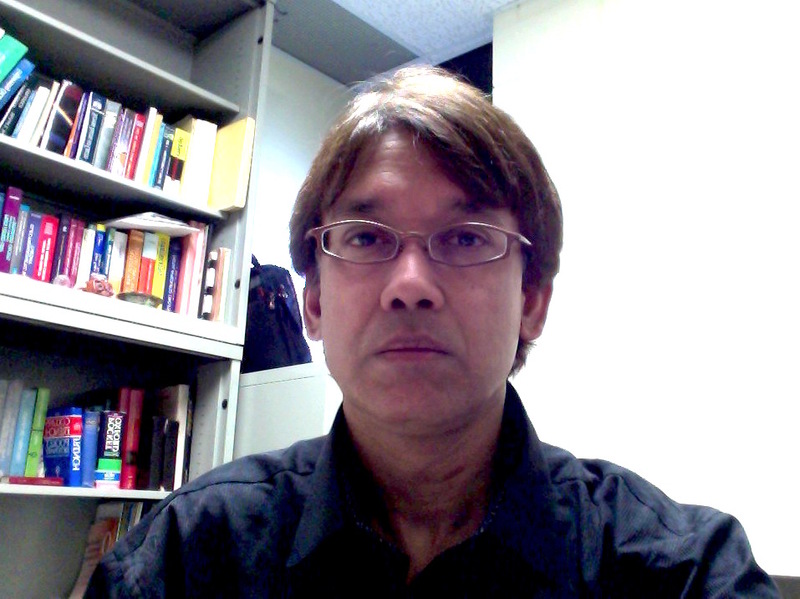 He is serving as reviewers of numerous technical journals such as IEEE Trans. Microwave Theory and Techniques (T-MTT), Electronics Letter, IEEE Microwave and Wireless Components Letters and in the technical program review committee member of IEEE Microwave Theory and Techniques Society (IEEE MTT-S) International Microwave Symposium (IMS) in the in the "power amplifier devices and circuits" and held session chair positions numerous times at IMS. He has served as NSF panelist. He has published more than 60 papers in international journals and conferences and holds two US patents. He is a senior member of IEEE. 1. P. Roy and D. Dawn, "Fully integrated CMOS power amplifier using resistive current combining technique", IET Microw. Antennas & Propag., vol 12, issue 5, pp 826~832, Apr. 2018. 2. Arka Biswas, S. Babak Hamidi, Chitralekha Biswas, Palash Roy, Dipankar Mitra and Debasis Dawn, "A Novel CMOS RF Energy Harvester for Self-Sustainable Applications", IEEE Wireless and Microwave Technology Conf. (WAMICON), Apr. 2018. 3. S. Babak Hamidi and Debasis Dawn, "Fully Integrated LTE-Band CMOS Tunable Power Amplifier", IEEE Wireless and Microwave Technology Conf. (WAMICON), Apr. 2017. 4. P. Roy and D. Dawn, "A High Power Fully Integrated Single-Chip CMOS Transmitter for Wireless Communication of Unmanned Aircraft System", Microw. Opt. Technol. Lett., 59: 432~439, Feb. 2017. 5. D. Mitra, P. Roy and D. Dawn, "A Variable Gain CMOS Phase Shifter for Phased Array Antenna Applications", Microw. Opt. Technol. Lett., 59: 324~328, Feb. 2017. 6. P. Roy and D. Dawn, "A high-power and high-efficiency CMOS VCO", Microw. Opt. Technol. Lett., 57: 2437~2441, Oct. 2015. 7. Debasis Dawn, "60GHz CMOS Transmitter Front-end with Built-in Temperature Sensor", Asia Pacific Microwave Conference (APMC), Sendai, Japan, Nov. 2014. 8. Debasis Dawn, "Millimeter-Wave CMOS Radio Frequency Integrated Circuits Development and its Potential Applications" (Invited), Asia Pacific Microwave Conference (APMC), Sendai, Japan, Nov. 2014. 9. Debasis Dawn, "Millimeter-Wave CMOS Switching Power Amplifiers", IEEE MTT International Microwave and RF Conference (IMaRC) Dec. 2013. 10. A. Sanyal, A. Mendoza-Radal, B. Ijaz, and D. Dawn, "CMOS Phase Shifter for Conformal Phased Array Beamformer Applications", IEEE International Conference on Wireless for Space and Extreme Environments (WiSEE) Nov. 2013. 11. E. Juntunen, D. Dawn, and J. Papapolymerou, "CMOS 45GHz Vector Modulator with Gain/Phase Correction Through Calibration", Electronics Letters, vol. 49 iss. 4, pp 267-269, Feb. 2013. 12. E. Juntunen, D. Dawn, and J. Papapolymerou, "High-Power, High-Efficiency CMOS Millimeter-Wave Oscillators", IET Microw. Antennas Propag., vol. 6 iss. 10, pp 1158-1163, 2012. 13. E. Juntunen, Debasis Dawn, Stephane Pinel, and Joy Laskar, "A High-Efficiency, High-Power Millimeter-Wave Oscillator Using A Feedback Class-E Power Amplifier in 45-nm CMOS", IEEE Microwave and Wireless Components Letters, vol. 21, no. 8, pp. 430-432, Aug. 2011. 14. E. Juntunen, M.C.-H Leung, F. Barale, A. Rachmadugu, D. A. Yeh, B. G. Perumana, P. Sen, D. Dawn, S. Sarkar, S. Pinel, and J. Laskar, "A 60-GHz 38-pJ/bit 3.5-Gb/s 90-nm CMOS OOK Digital Radio", IEEE Trans. Microwave Theory Tech., vol. 58, No. 2, pp. 348-355, Feb. 2010. 15. Debasis Dawn, Padmanava Sen, Saikat Sarkar, Bevin Perumana, Stephane Pinel, and Joy Laskar, "60-GHz Integrated Transmitter Development in 90-nm CMOS", IEEE Trans. Microwave Theory Tech., vol. 57, No. 10, pp. 2354-2367, Oct. 2009. 16. Joy Laskar, Stephane Pinel, Debasis Dawn, Saikat Sarkar, Bevin Perumana, and Padmanava Sen, "The Next Wireless Wave is a Millimeter Wave", Microwave Journal, vol. 50, No. 8, pp. 22-36, Aug. 2007. 17. C. Patterson, D. Dawn, and J. Papapolymerou, "A W-Band CMOS PA Encapsulated in an Organic Flip-Chip Package", IEEE MTT-S Int. Microwave Symp. Montreal, Canada, June 2012. 18. E. Juntunen, W. Khan, C. Patterson, S. Bhattacharya, D. Dawn, J. Laskar and J. Papapolymerou, "An LCP Packaged High-Power, High-Efficiency CMOS Millimeter-Wave Oscillator", IEEE MTT-S Int. Microwave Symp. Baltimore, MD, June 2011. 19. Debasis Dawn, S. Sarkar, P. Sen, B. Perumana, M. Leung, N. Mallavarpu, S. Pinel, and J. Laskar "60GHz CMOS Power Amplifier with 20-dB-Gain and 12dBm Psat", IEEE MTT-S Int. Microwave Symp. Boston, MA, pp. 537-540, Jun. 2009. 20. P. B. Vadivelu, P. Sen, S. Sarkar, D. Dawn, S. Pinel, and J. Laskar "Integrated CMOS mm-wave Phase Shifters for Single Chip Portable Radar", IEEE MTT-S Int. Microwave Symp. Boston, MA, pp. 565-568, Jun. 2009. 21. Debasis Dawn, Saikat Sarkar, Padmanava Sen, Stephane Pinel, and Joy Laskar "60GHz Silicon-Based Tunable Amplifier", 38th European Microwave Conf. (EuMC), Amsterdam, The Netherlands, pp. 452-455, Oct. 2008. 22. Debasis Dawn, S. Sarkar, P. Sen, B. Perumana, D. Yeh, S. Pinel, and J. Laskar "17-dB-Gain CMOS Power Amplifier at 60GHz", IEEE MTT-S Int. Microwave Symp. Atlanta, GA, pp. 859-862, Jun. 2008. 23. 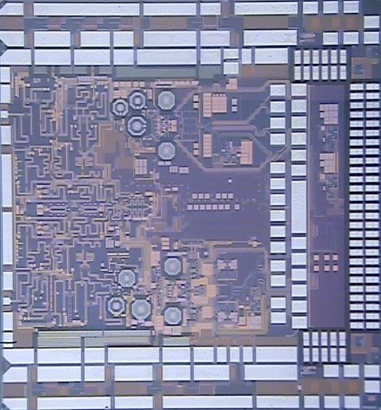 Saikat Sarkar, Padmanava Sen, Bevin Perumana, David Yeh, Debasis Dawn, Stephane Pinel, and Joy Laskar, "60GHz Single-Chip 90nm CMOS Radio with Integrated Signal Processor", IEEE MTT-S Int. Microwave Symp. Atlanta, GA, Jun. 2008. 24. S. Pinel, S. Sarkar, P. Sen, B. Perumana, D. Yeh, Debasis Dawn, and J. Laskar, "A 90nm CMOS 60GHz Radio", ISSCC Dig. Tech Papers, pp. 130-131, Feb. 2008. 25. Debasis Dawn, S. Pinel, S. Sarkar, P. Sen, B. Perumana, D. Yeh and J. Laskar "Development of CMOS Based Circuits for 60GHz WPAN applications", 2007 IEEE International Conference on Ultra-WideBand, Singapore, pp. 129-133, Sept. 2007.